It is the weekend and you prefer to stay in, but at the same time you're in the mood for something out of the usual for dinner. Perhaps maybe a not too complicated dish to pair with your favourite whisky? 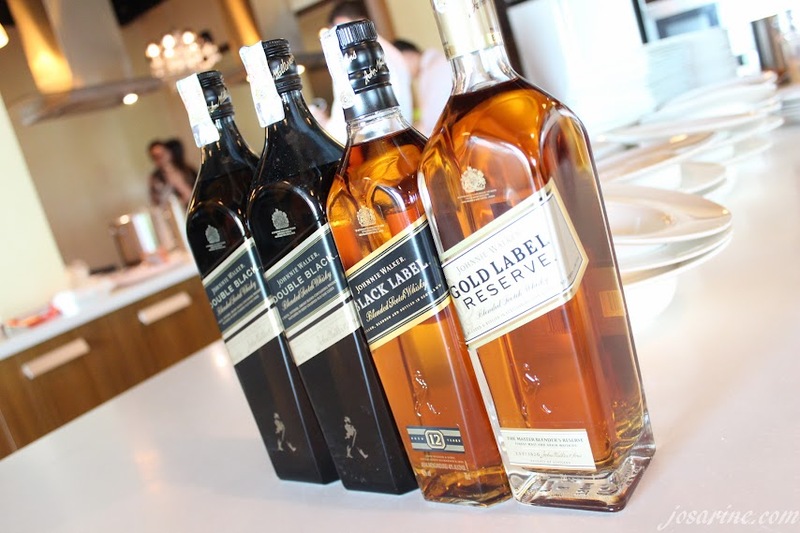 If you are looking for dishes that would go pleasantly with your JW, you should try these dishes that I'm about to share with you, when I attended the food pairing session with Johnnie Walker courtesy of Manoah. This food and whisky pairing demonstration was prepared by Chef Nigel Richter. Slow-cooked Oxtail, Roasted Shitake, Smoked Parsnip, Fenugreek Foam, Crusty Olive Oil Ciabatta, Carrot Dust. 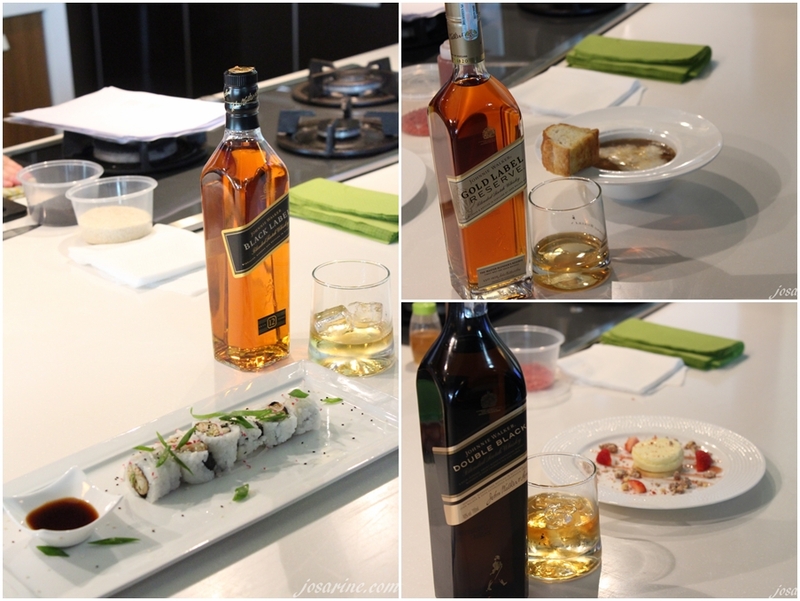 After the demonstration, it was time for us to get a taste of this beautiful food pairing of Chef Nigel's dishes and Johnnie Walker whiskeys. I will be sharing with you the reasons why Chef Nigel chose to make these dishes along with my personal opinion. The first dish: Tiger Prawn Tempura & Dungeness Crab Maki. Chef Insights: I chose to pair the Black Label whisky with an Asian favourite; maki - which is a well known sushi rice roll. My objective is to dispel whisky as merely being a 'drinker's drink'. With the first course, the goal was to pair the rich flavours from grain whiskies with ponzu which has in it; sake, bonito, soy sauce, konbu, and yuzu citrus flavours. All of which posses some identical aromatic molecules found in the Black Label. The maki is delicious especially together with the sauce prepared by Chef Nigel. It is a pretty filling dish since it is rice and a very slight spiciness in it, in which is perfect to have it with the JW Black Label. 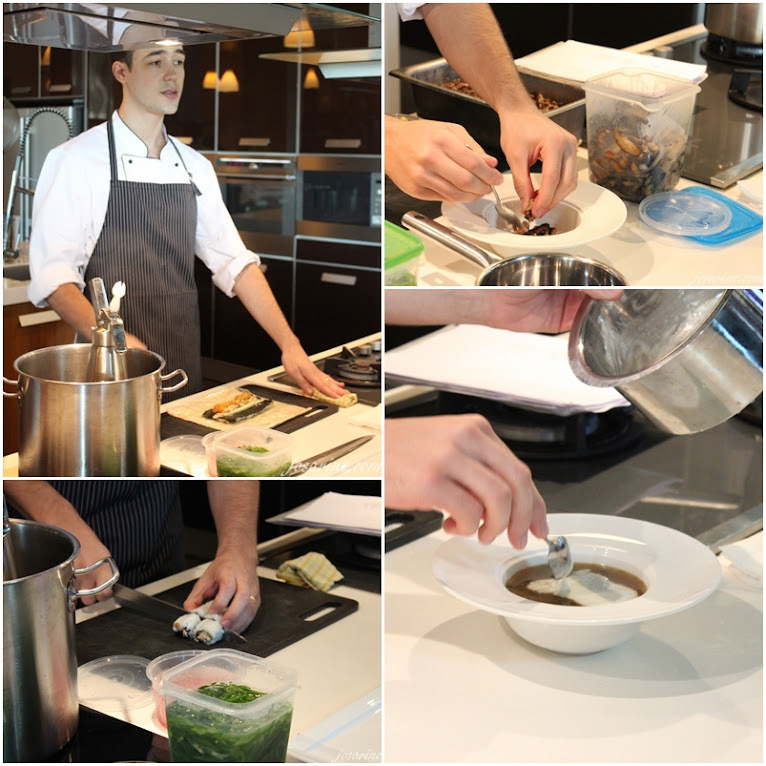 Chef's Insights: This dish was structured around the earthy flavours found in the Gold Label Reserve. I specifically wanted to highlight the charred flavours and aromas of browned oxtail known as umami or savory flavour. 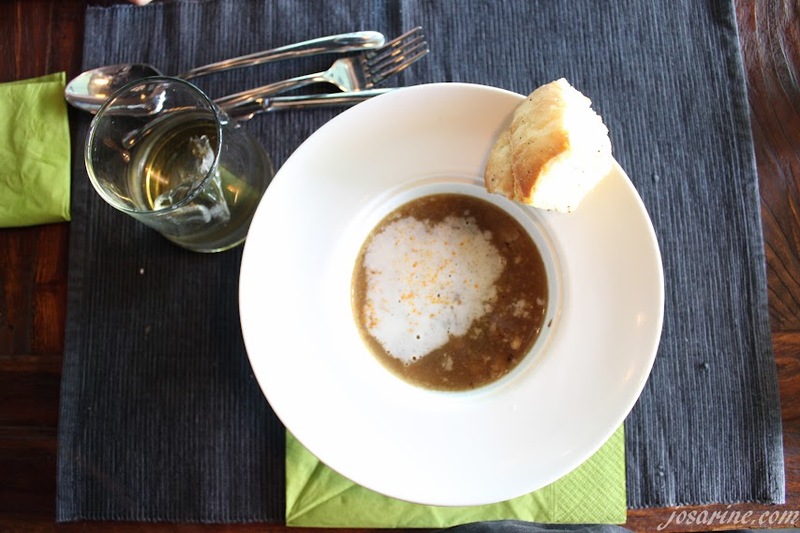 I added spices like cinnamon, star anise, and allspice in the broth which complimented the wood and light sweet flavours found in the Gold Reserve. The fenugreek used to flavour the milk foam also has common flavour compounds found in the Gold Label Reserve which originates from the whisky being aged in oak barrels. This is my favourite dish of the day. I love the oxtail soup with garlic bread together with JW Gold Label Reserve as both has the richness in taste. JW Gold Label Reserve is smooth in taste and texture gives a perfect pairing with this dish. 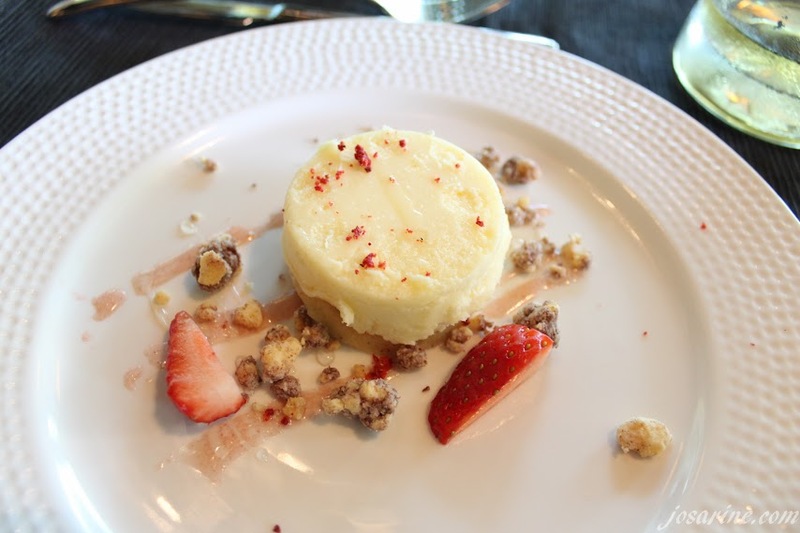 Chef's Insights: I chose a common desert favourite like cheesecake, strawberry was a natural choice as it enhances the citrus and fruit flavours found in the Double Black. I infused natural vanilla in the shortbread crust. The crumble accompanying the cheese cake was malt flavoured and enriched with butter and white chocolate. The egg introduced into the cheesecake was further flavoured by hickory smoked water and is a great match with the smoky wood tones found in the Double Black. Firstly when you have your whisky with water it'll taste a little diluted. However for JW Double Black it enriches the smokey flavours even more. I'm a cheese cake lover so I'll definitely say to yes to cheese cake with JW Double Black. I love the vanilla hazelnut crust together with the cheesecake it is LOVE! 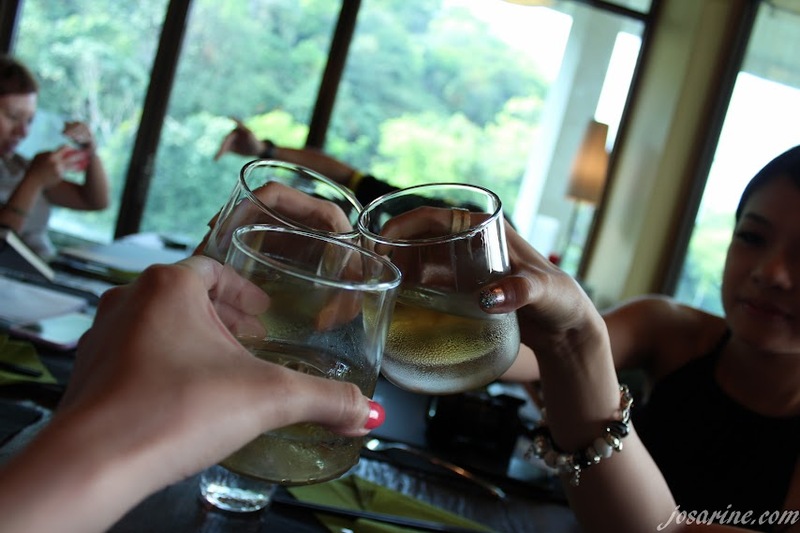 However it can be a little on the sweet side for me, but with a sip of JW Double Black it helps lighten the sweetness. 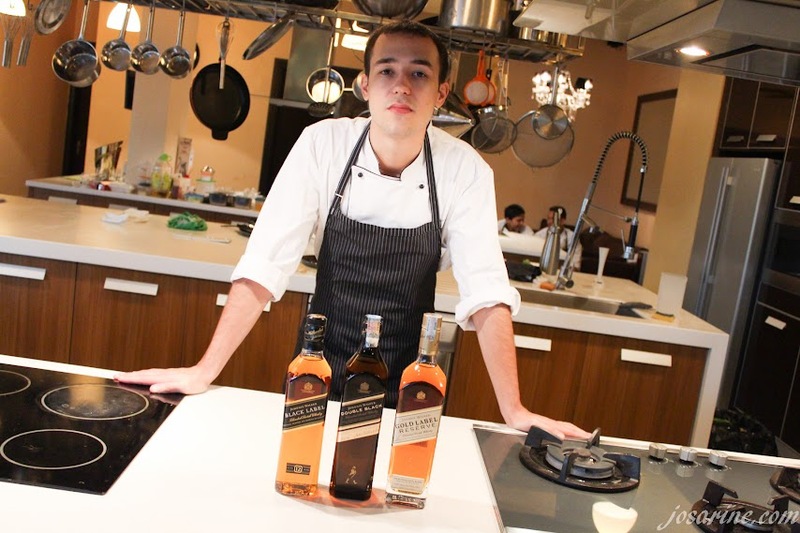 Now you have more variety of dishes to pair with your Johnnie Walker Whiskys. A delicious way to make your Johnnie Walker drinking experience more pleasurable. Also Johnnie Walker Circuit Night is happening this Saturday 29th March 2014 and I'm super excited about it. For more info please visit Johnnie Walker Facebook Page. wow! 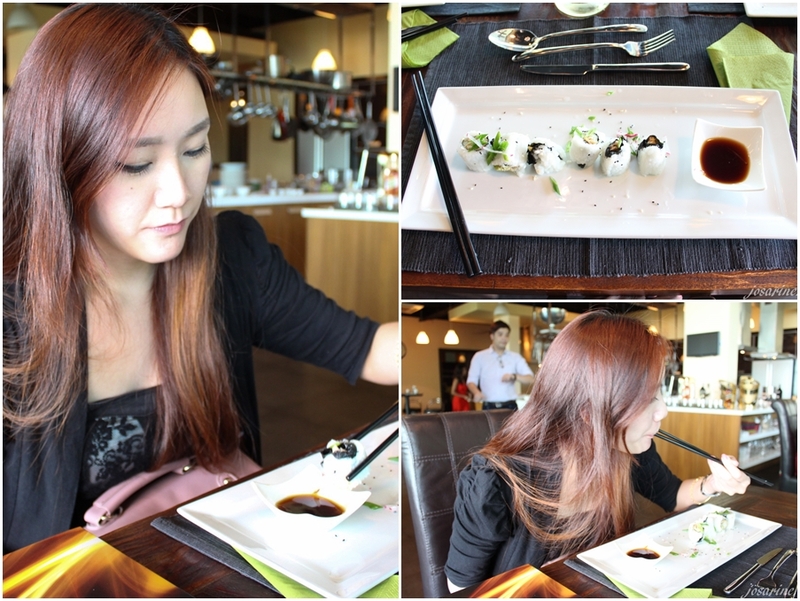 I feel hungry already T.T ~ How was the food :)? ohya if got time mind visit my blog too?